GeneSys Psychometric Assessment tools for businesses and organisations across Australia. 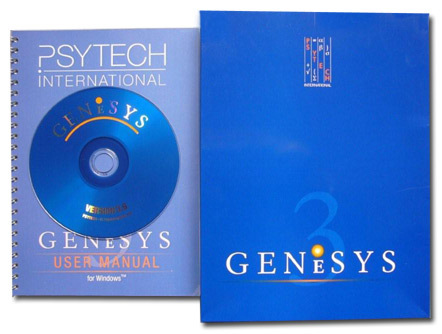 GeneSys by Psytech International has over 50 employment assessments. Genesys Australia provides the full range of GeneSys psychological assessments available through GeneSys Online or the GeneSys 3 Software System. Genesys Australia is led by Stephen Kohl MPsych (Org), Registered Psychologist and psychometric specialist, and Australia’s most experienced GeneSys authority. Our GeneSys assessments are provided only by expert registered psychologists. We provide extensive Australian understanding and experience, a commitment to research and innovation, competitive prices, and highest standard integrity and client support and satisfaction. GeneSys Psychometric Assessment gives you more flexibility & control than any other workplace psychometric solution that we know of. You can keep your own data, tailor your own 360 Degree Appraisal, profile your ideal candidates free, and much more, depending on how you choose to use the system.